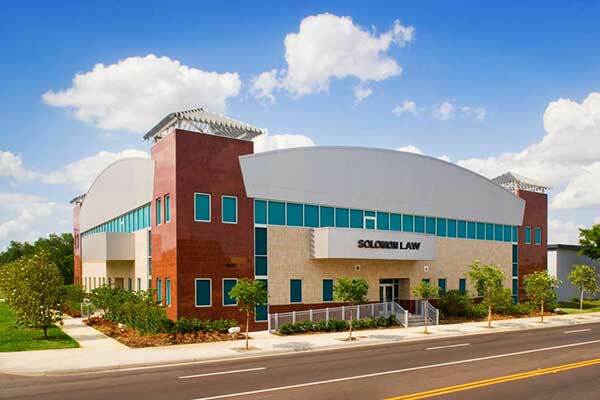 About Our Firm | The Solomon Law Group, P.A. Stanford R. Solomon, P.A. was formed on May 1, 1990 to provide the highest quality legal services to companies and individuals throughout the State and around the country. Now known as THE SOLOMON LAW GROUP, P.A., the firm serves a diverse range of clients which include several major banking institutions, many local and national corporations (both public and private), and individuals with varied business interests. The firm places particular emphasis on (a) prosecution and resolution of commercial disputes, (b) negotiation and documentation of real estate and business transactions, (c) work-out and restructuring of real estate and corporate lending relationships, (d) pursuit of legal malpractice claims and (e) foreclosure and disposition of secured assets. Matters handled by the firm also include the evaluation and resolution of loan relationships, real estate disputes, partnership disagreements, and business disruption claims. The firm prides itself on the ability to provide practical legal advice and counseling to clients at all stages of the most complex business transactions, including guidance designed to avert controversies before they mature and guidance to quell controversies after they erupt. The firm provides all of those services necessary to assist individual and institutional clients in the management and conduct of their regular business activities. In an attempt to service the daily needs of our clients, the firm has developed expertise in all disciplines necessary to consummate business transactions and to litigate business disputes. The firm is especially active in all areas of civil litigation, including the prosecution and defense of claims in all types of business and personal matters. Firm lawyers regularly appear on behalf of clients in the Florida and the federal trial and appellate courts, as well as before various administrative and governmental agencies. The firm also represents client interests in mediation and arbitration proceedings throughout Florida. In connection with business matters, the firm regularly structures, negotiates, documents, codifies and closes all types of real estate and corporate transactions. The firm pays great attention to the appropriate and practical coordination of business objectives and legal considerations. Firm lawyers strive to facilitate proper conceptualization and consummation of business transactions in a manner that will reduce risks and enhance benefits for all parties. In this manner, contemplated benefits of the transaction can be more readily and predictably attained. The firm’s staff is presently comprised of seven attorneys, two paralegals, two law clerks and a dedicated support personnel. Our extensive law library, with computerized legal research capability, together with advanced word and data processing equipment further facilitate the rendition of prompt and efficient legal services. We are proud of our reputation for responding expeditiously and expertly to our clients’ needs.